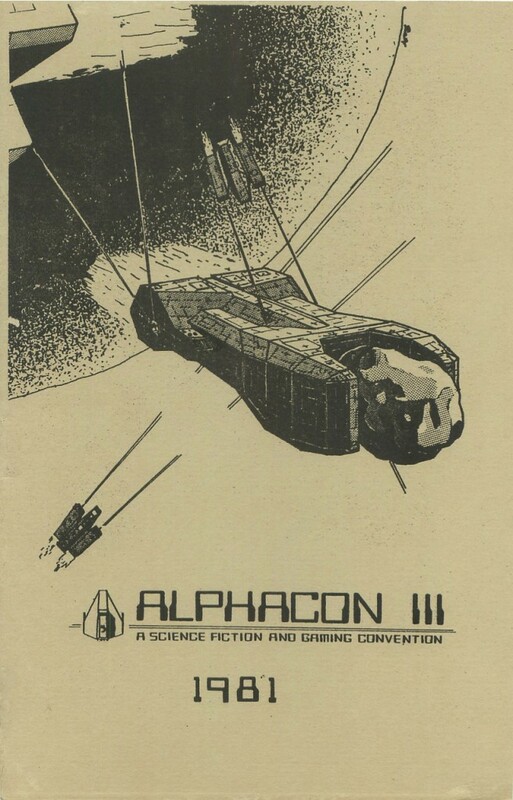 Today marks the 30th anniversary of the second day of the Alphacon III Science Fiction and Gaming Convention held at the Ithaca Ramada Inn in 1981. Continuing ExTechOps’ coverage, we turn to the archives. As the Alphacon-er with badge number 0001 (one of the advantages of being the younger brother of the convention’s program book editor), I feel the duty to offer up the convention’s program book for consideration by The Singularity.